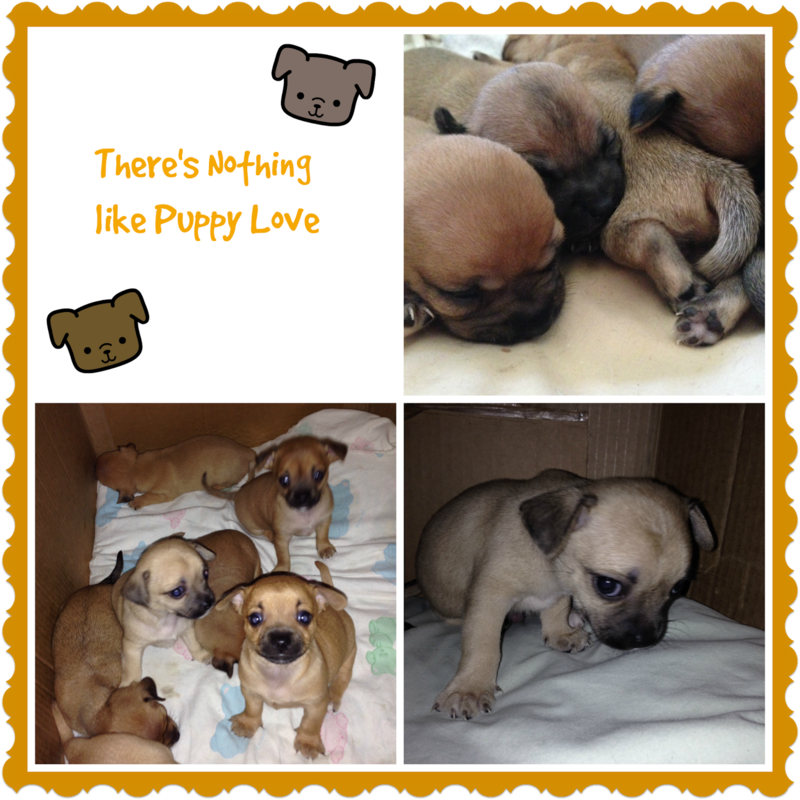 These adorable little puppies were born to our female chihuahuah Mia on April 1st. Five females and two males who won't be much bigger than 4-5 pounds full grown. It has been a busy month helping mama Mia take care of them, imagine having to nurse seven babies at the same time? That's a lot of work for one small dog but she did it. Now they are getting older and already beginning weening from mama. It won't be long before they are more independent, playing and learning things only puppies can learn. We have nick names for them but nothing solid because we can't keep them forever. They will be going to new homes when they are old enough but for now we are enjoying the experience of having these puppies in our family. Puppy Love is a lot of work but it also bring a lot of smiles. Posted by AME. Photo by AME. Opinions and comments on this blog are those of the author. Oh. My. Gosh. I can't imagine the work involved with all those puppies! I have one and it's enough :) Are they ever adorable though! My problem is that I would become too attached to the all in the time they were with me. Enjoy that puppy love while it lasts! Oh my goodness! They are adorable! I want one. hehe!